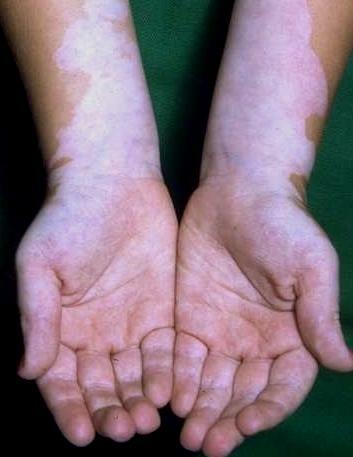 Skin disorder characterised by a loss of pigment in sharply defined usually symmetric areas due to acquired absence of melanocytes, also known as leucoderma. Persons most commonly affected: All age groups and both sexes, but about 50% of the time it starts before the age of 20. Symptoms and indications: Appearance of milky-white patches on skin, usually on the face, neck, hands, lower abdomen and thighs. Causes and risk factors: The cause of Vitiligo is not known, but doctors and researchers have developed several theories. One theory is that people develop antibodies that destroy the melanocytes in their own bodies. The most credible theory, and the most frequently reported precipitating factor, is a single stressful physical or psychological event such as severe sunburn, surgery, pregnancy, loss of job, bereavement, or some other source of emotional trauma or distress. Some believe that the disease is hereditary however most people with Vitiligo have no family history of the disorder. 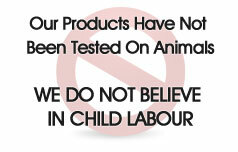 Prevention: Safety measures to avoid cuts and scrapes to the skin can be helpful. Sunscreen products can help prevent sunburns and may slow pigment loss. Stress management may lessen the impact of vitiligo.